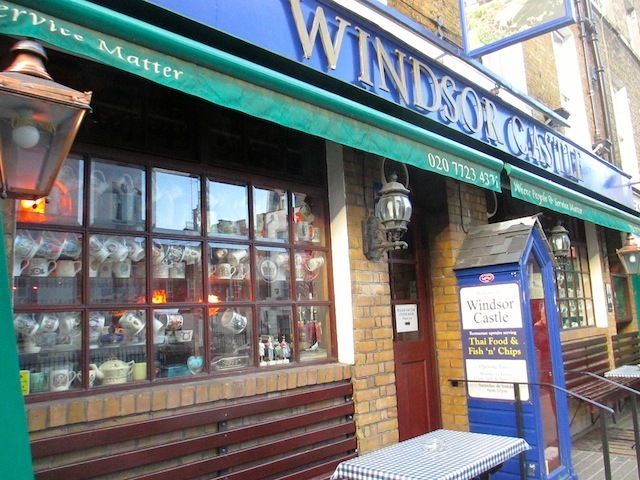 This pub has been voted by our readers as one of the most unusual pubs in London. See the full list of winners here. Your head will swim on entering this pub, whether you’ve already sunk too many drinks or not. It is a miraculous feat of organisation — every single space, whether it be on the wall, the fireplace, the ceiling or table legs, displays the memorabilia of various celebrities and royals. The collection of royal plates fixed to the ceiling near the toilets has to be seen to be believed (look out for the Charles and Diana divorce commemorative plate). 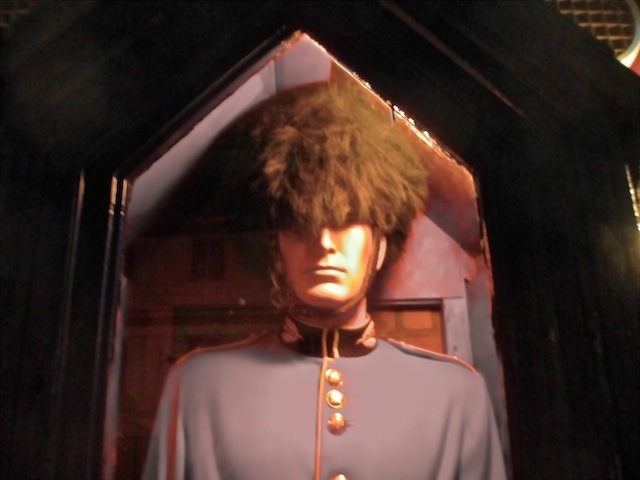 There’s a clocking-in machine next to a cubby hole dressed up with some kind of uniform and drum, photos of Wendy Richard and other former regulars above the bar, a chiming clock, a ye olde telephone that still works, and heads of past monarchs embedded into the tables. 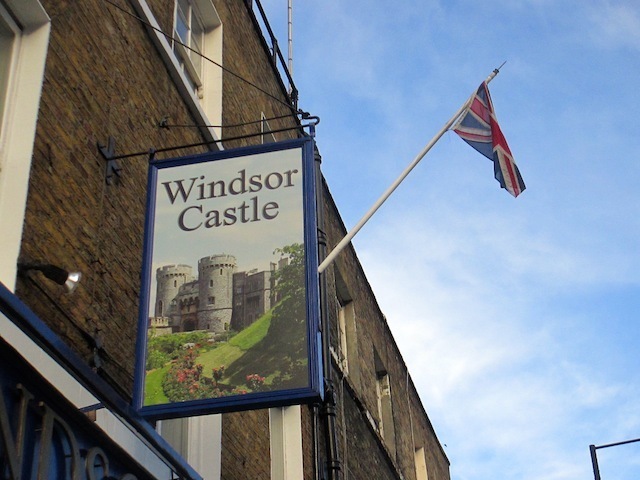 Capping the surreality, it's well noted that the Handlebar Moustache Club hold their regular meetings in the Windsor Castle. Once you’ve absorbed all this devotion to the old days, be thoroughly disconcerted by the modern Thai menu. By this point you’ll need a drink, and it would be churlish to drink anything other than solid ale (a choice of Adnams, Bombardier, 6X and Young’s). There’s also plenty of lager and drinks made from grape, including — to the continued joy of at least one regular — Lanson champagne. Oh, and there's a soldier standing guard outside. Bonkers.